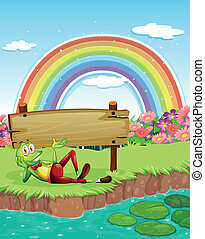 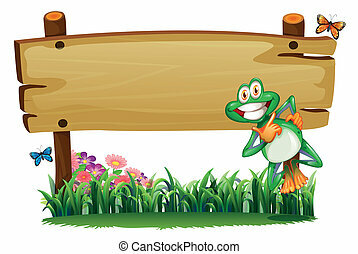 Frog cartoon with signboard. 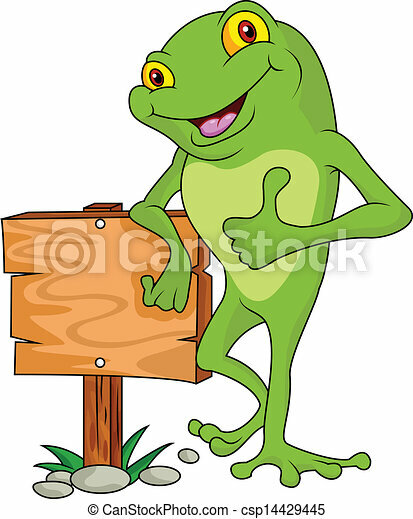 Frog cartoon thumb up with signboard. 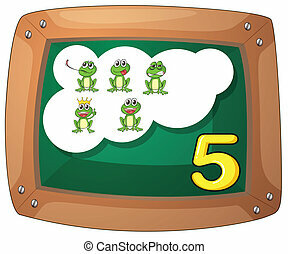 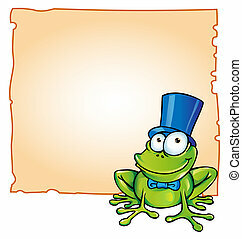 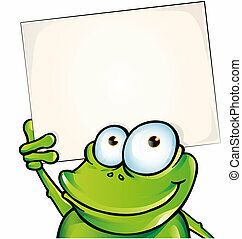 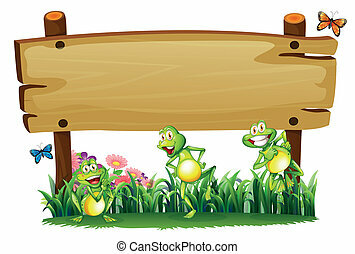 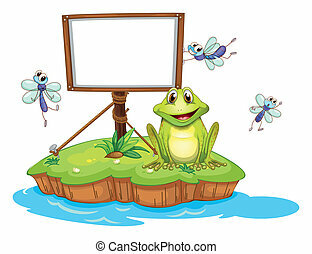 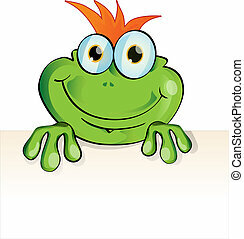 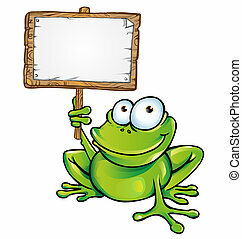 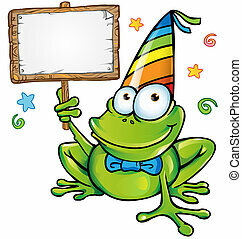 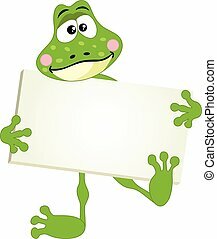 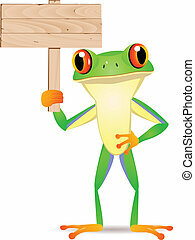 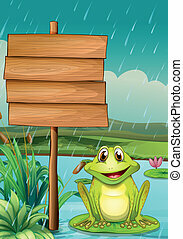 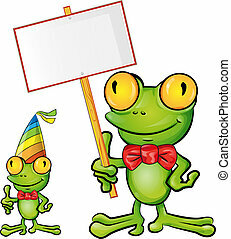 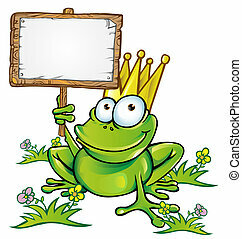 Scalable vectorial image representing a cute frog with signboard, isolated on white.